Rami Malek had difficult moments making "Bohemian Rhapsody," but he has an Oscar to show for it. 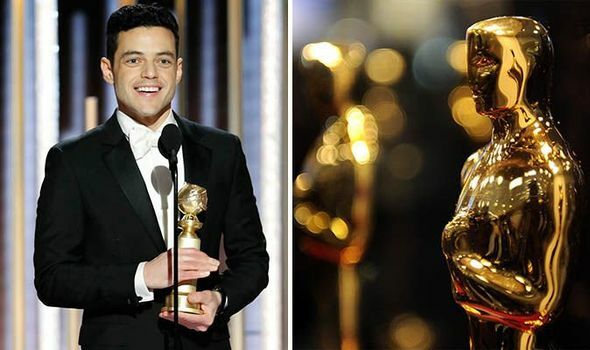 Malek, receiving the best actor trophy Sunday for his portrayal of Queen frontman Freddie Mercury, called it a "monumental moment." He thanked members of the band in attendance. "I may not have been the obvious choice, but I guess it worked out," Malek said. "Thank you, Queen, thank you, guys, for allowing me to be the tiniest part of your phenomenal, extraordinary legacy. I am forever in your debt. Malek speculated about what he would have made of the honor as a child, reports AP. "My dad didn't get to see me do any of this, but I think he's looking down on me right now," he said. Malek, who was best known for his award-winning role as a disturbed hacker in TV's "Mr. Robot," was the front-runner coming into the Oscars, having collected an armful of awards including Golden Globe and Screen Actors Guild trophies. Singer's firing came amidst sexual abuse allegations against the director, which he has categorically denied and weren't cited as the reason for his being dropped from the film. The other nominees in the category were Christian Bale for "Vice"; Bradley Cooper in "A Star Is Born"; Willem Dafoe with "At Eternity's Gate" and Viggo Mortensen in "Green Book.